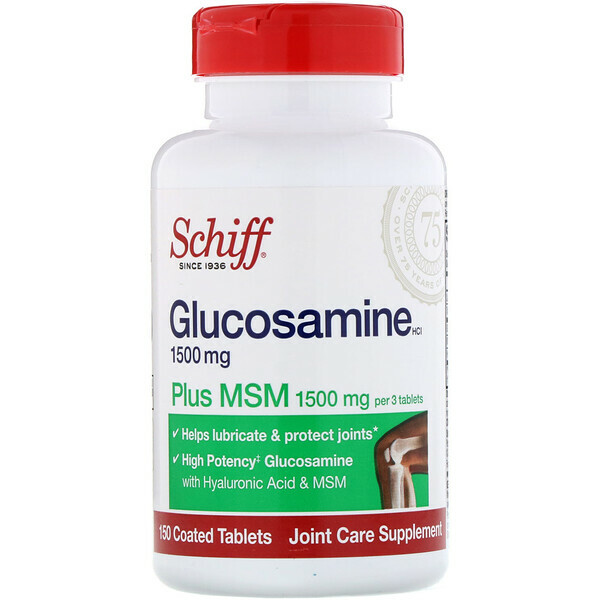 Schiff Glucosamine Plus MSM helps you maintain healthy structure and function of cartilage in your joints. 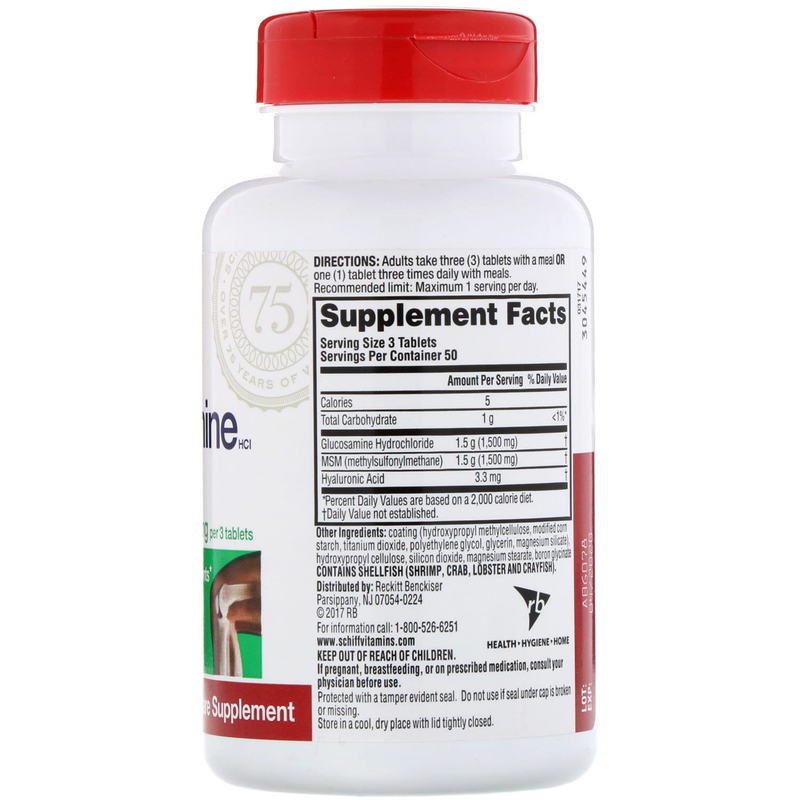 ‡High Potency - Glucosamine Hydrochloride (HCI) has a high potency of active Glucosamine. Glucosamine HCI is about 83% Glucosamine, while some brands use Glucosamine Sulfate that is only about 65% Glucosamine. Sure Dissolve - Schiff Sure Dissolve tablets are formulated to disintegrate within one hour. Adults take three (3) tablets with a meal or one (1) tablet three times daily with meals. Recommended limit: Maximum 1 serving per day. Coating (hydroxypropyl methylcellulose, modified corn starch, titanium dioxide, polyethylene glycol, glycerin, magnesium silicate), hydroxypropyl cellulose, silicon dioxide, magnesium stearate, boron glycinate. Contains shellfish (shrimp, crab, lobster and crayfish). Guaranteed: No added sugar (sucrose, fructose, lactose), salt (sodium chloride), yeast, wheat, gluten or milk. No preservatives or artificial flavors. If pregnant, breastfeeding, or on prescribed medication, consult your physician before use. Protected with a tamper evident seal. Do not use if seal under cap is broken or missing.